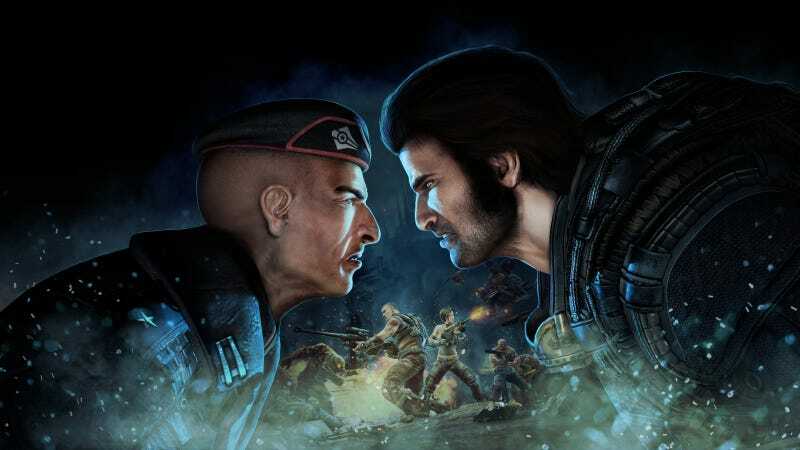 Recently, Gearbox announced that they’re partnering with game key re-seller G2A for a collector’s edition of Bulletstorm. Problem: over the years, G2A has been subject to widespread criticism for lax security, enabling fraud, and making money at developers’ expense. Predictably, Gearbox has taken serious flack for the partnership. G2A’s reputation has fallen so far down the mine shaft that, in recent times, multiple high-profile YouTube and streaming personalities have dropped out of lucrative ad deals with the site. People, then, were taken aback when Gearbox decided to hop in bed and get snuggly with G2A to create a baffling assortment of limited edition physical collector’s editions. Setting aside the oddity of partnering with a digital storefront to produce physical goods, the cloud of controversy surrounding G2A is thick and noxious, and people on sites like Reddit, NeoGAF, and Twitter promptly blew up at them. I reached out to G2A for a response to Bain’s comments, but they’ve yet to reply. I also reached out to Gearbox, who was unable to provide a response as of publishing. For their part, G2A’s spent recent months resolutely insisting that they’ve cleaned up their act and strive to guard their service against fraud, stolen or otherwise illegitimate keys, and other potential pitfalls that come part and parcel with running a largely unregulated gray market. They say, for instance, that they have a department of over 100 people monitoring the site for shady keys, and the main reason they want to work directly with developers is because they have no reliable way of tracking stolen keys otherwise. However, people have found G2A’s claims of increased security hard to believe. During a Reddit AMA conducted in February, a user demonstrated that after becoming a “verified” seller, they could theoretically switch to selling non-legit keys with little scrutiny. They even tossed up a fake listing and got it verified during the back-and-forth discussion on Reddit, just to prove their point. G2A went on to ban that user, in a move that was about as well-received as you’d expect. That doesn’t really inspire confidence! And despite that, shortly after the AMA, I received an email from an indie developer claiming that they’d tried to get keys removed from G2A, to no avail. These days, G2A talks a big game, but they’ve yet to provide compelling evidence that they can reliably back it up. The only thing abundantly clear about the site is that they desperately want to clean up their image, and certainly, working with Gearbox seems like another step on the road to perceived legitimacy. Now, though, Gearbox is getting their reputation dinged for that decision. Instead of Gearbox pulling G2A up, it appears that G2A yanked Gearbox down into the mud with them.